Internationally renowned outdoor arts company Kinetika is once again running its popular Thurrock 100 Walking Festival during July. 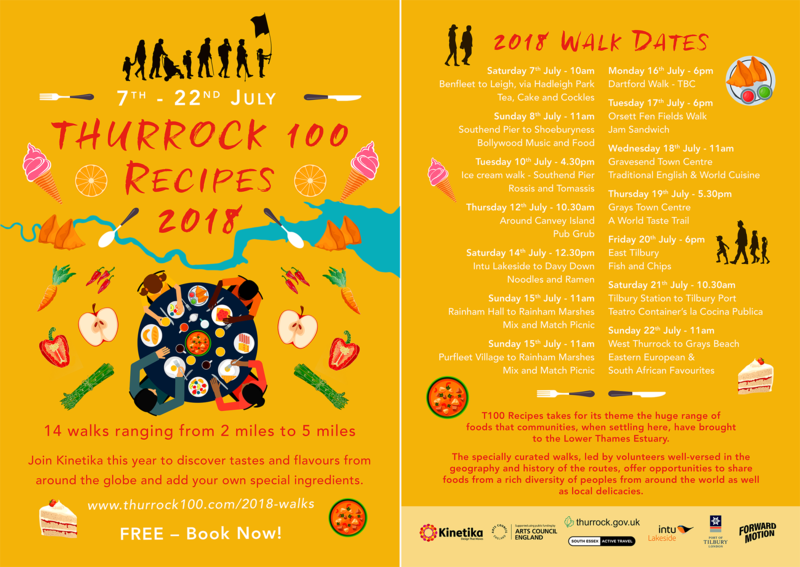 This year, the theme is food and the walks, entitled Thurrock 100 Recipes, will take place in Thurrock, Southend, Dartford and Gravesend. More details and further walks will be added to the programme as they are confirmed, so keep checking the website for updates. For more information on Kinetika, please go to www.kinetikaonline.co.uk.